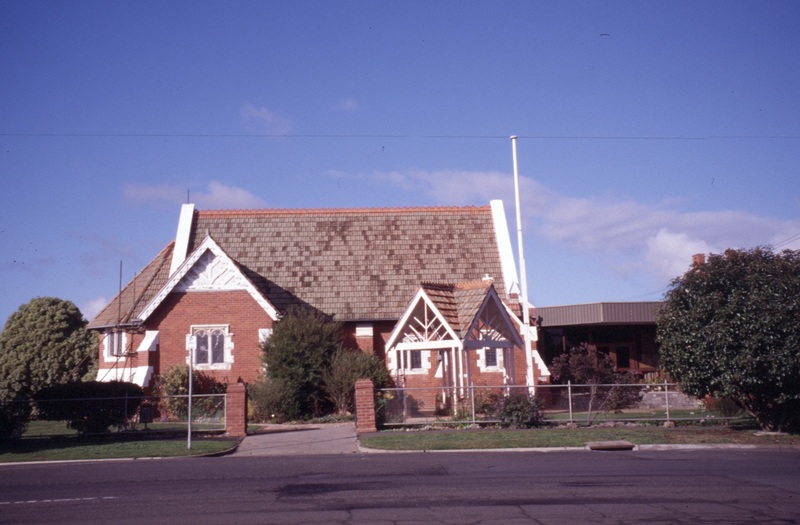 Formerly St. Thomas' Presbyterian church, now called the Crossroads Uniting Church (2004). 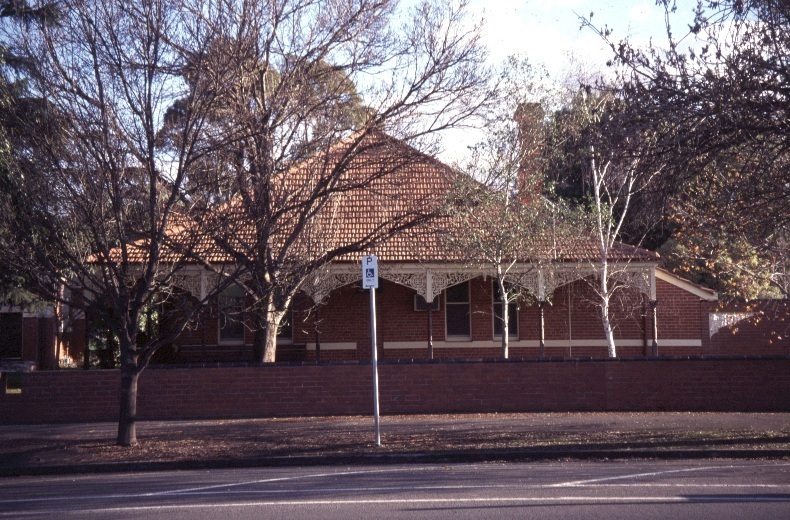 The building is classified by the National Trust. 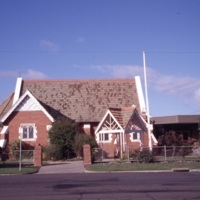 Formerly St. Thomas' Presbyterian church, now called the Crossroads Uniting Church (2004). 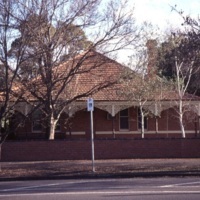 The building is classified by the National Trust. 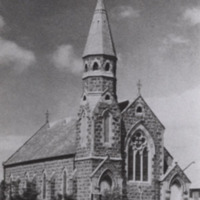 A complex of church buildings being 1859 timber Gothic church, 1900 brick church, a brick hall and a Victorian house at the rear. 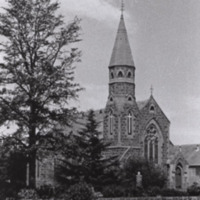 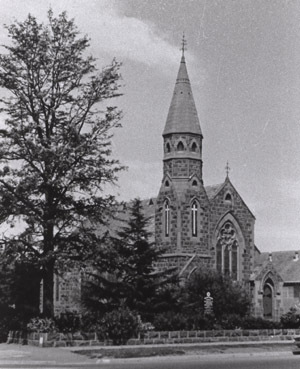 A church complex comprising a church, a manse, a church hall and grounds. 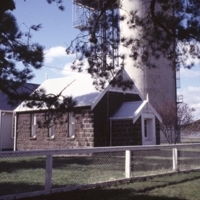 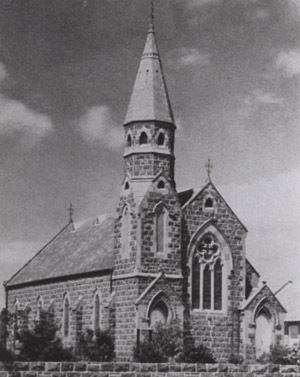 Building is constructed of bluestone with Barrabool sandstone used for quoins and detailing.